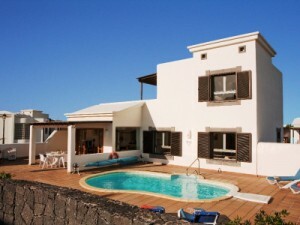 A Playa Blanca villa to rent situated in the exclusive development of Faro Park in the Yaiza area. The villa has wifi internet access and satellite TV. A Playa Blanca villa to rent, which is situated in the Yaiza area in the exclusive development of Faro Park. The villa is only 150m from the nearest bar and restaurant or 1.5km from the beach. The villa has a private heated pool and is very well equipped inside. There is free wifi internet access as well as satellite TV. The kitchen is also very well equipped including a full oven, dishwasher, washing machine and tumble dryer. There are three bedrooms and two bathrooms. The master bedroom has a king-size double bed with an ensuite bathroom. The other two bedrooms have twin bedrooms. The roof terrace enjoys a very good sea view. An 18th century watchtower which is perched on the clifftop above the beach. 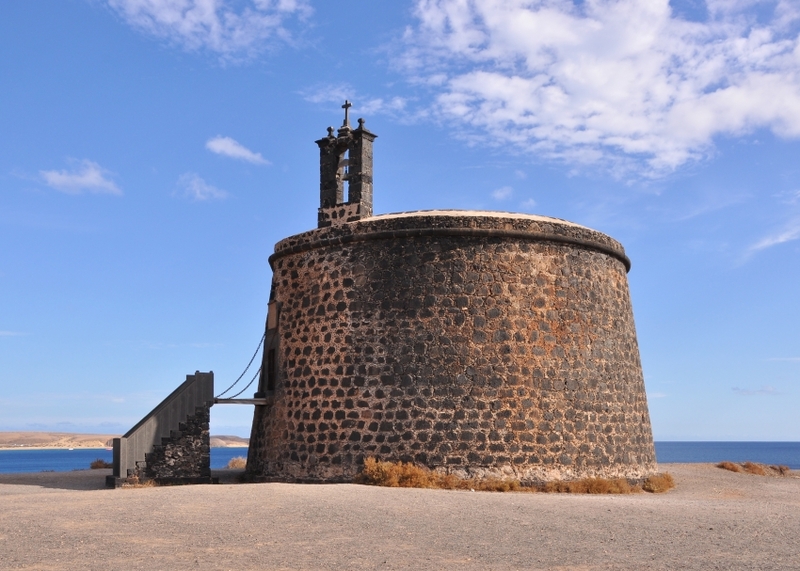 Castillo de las Coloradas is an 18th century watchtower which is perched on the clifftop above Playa de las Coloradas, which is the to the East of Marina Rubicon in Playa Blanca. In former days it was used as refuge from the pirates who used to attack the island. When pirates approached the harbour, the watchtower bell would be rung. 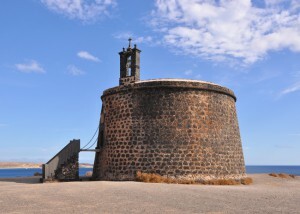 Today it is a tourist attraction and one of the few historic sites in Playa Blanca. It used to be possible to walk across the drawbridge and up the steps to the top. But the site is currently closed due to safety issues, so it is currently only possible to view it from the outside. Still worth a visit though, as the views are amazing across the ocean towards the island of Fuerteventura. This entry was posted in Lanzarote Villas and tagged #holidays4uorg, #karendurant, LanzaroteVillas by holidays4u. Bookmark the permalink.